We love a great cake in our house. Hell, let’s be completely honest, we simply love c-a-k-e in this house, sometimes the crazier, the better. But, we’re madly, deeply, crazily in love with this chocolate cake. Yep, I’m willing to put this baby up against any other chocolate cake you’ve fallen in love with. It’s that good. And “good” is a puny way to describe such a gloriously magnificent cake of pure joy. One thing before we get to the cake recipe. It has an unusual ingredient, one that lends to the cake’s incredible moistness, one that we keep secret from a family member for fear he’d skeeve all over the joint in disgust, but you have to trust me on this. You trust me, right? RIGHT?! If you want a taste of nirvana, you do! The weirdo ingredient is mayonnaise. The full fat variety. The stuff you use on your favorite sandwich. Yep, that stuff. Most people have a physical reaction when I tell them what’s in this cake that makes it so special, so if you need a moment to either shudder or clap your hands in gleeful anticipation, this is your moment. Take it. All done? Good. Let’s get to the recipe. Grease and lightly flour (with cocoa) two 9-inch round cake pans. In large bowl, with electric mixer at high speed, beat eggs, sugar and vanilla until light and fluffy, about 3 minutes. At low speed, beat in mayonnaise. Mix well. Add flour mixture in 4 additions, alternatively with water, beginning and ending with flour mixture. Bake 30-35 minutes or until toothpick inserted in centers comes out clean. Cool 10 minutes in pans, then remove from pans and cool completely. Adapted from a Hellman's recipe that I don't have a link for because my notes are that old. 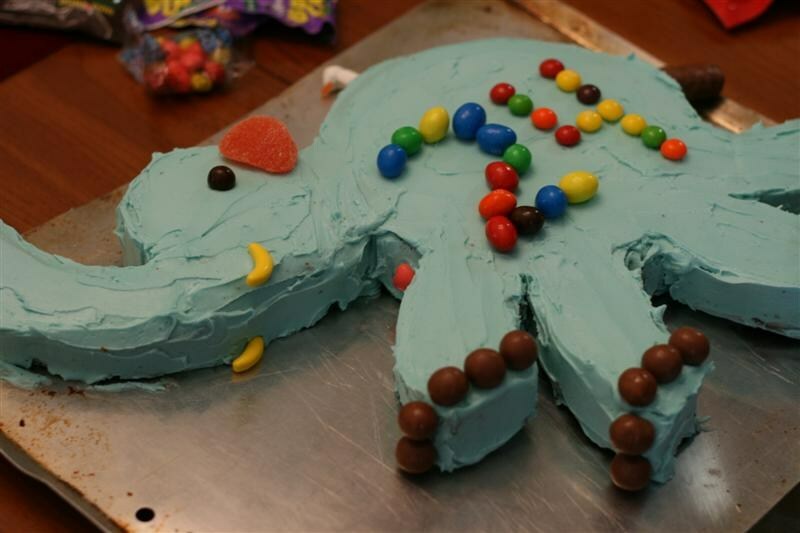 …you can make an Elephant Cake either for someone’s birthday or just because you had a hankering for AN ELEPHANT CAKE! So stinkin’ adorable, and for the record, Boy is grown and we are now making these for Sweet E (he’s a third generation Elephant Cake eater! ), but if G-Daddy or Boy decide their life needs more Elephant cake, then they get one too. You can click the “elephant cake” link above to get the deets on how it’s constructed. The best part about that cake is the creativity and fun kiddos (grown kiddos) have in decorating it. Jsut put bowls of candy on the table and let then at it. So. What are you waiting for? To the kitchen! that cake is so cute!! who would have though…mayo?! MAyo! Trust…it’s delish (can’t taste any hint of it!). Angie, I basically punted on the frosting. I used *almost* one regular bag of powdered sugar, half a brick of softened cream cheese, about 1/2 cup of melted chocolate chips, a couple teaspoons of vanilla and just enough cream to make spreadable. There was plenty to fill and frost, with a bit left over. I use to make this cake all the time and it had mayo in it. The recipes look similar but man was it delicious!!!! Looks like this cake is in my future. Pinning to keep it close! Mayo is a weird ingredient, but, oh, man…so good! I was JUST telling my hubs how I need a good nofail chocolate cake recipe!! Yum!! Hope you like it, Morgan! 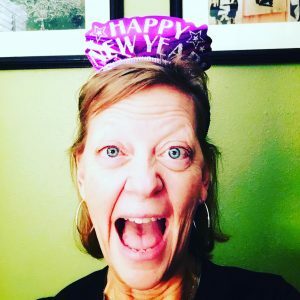 Oh Patti – this recipe is great! 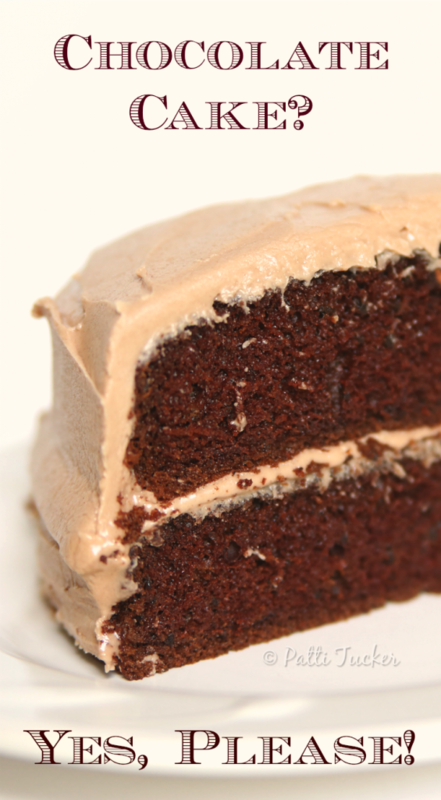 I have had chocolate mayo cake before and it is utterly amazingly good! I remember seeing this recipe ages ago and I don’t think I ever made. I saw this on Moonlights and Mason Jars and had to come over and print and pin it. Thanks for sharing and I hope you love it. Yum! Thanks for the recipe. Pinning. Gonna try this. I always add 2 Tablespoons of mayo when I make banana bread make it moist. That’s the secret to it. I use sour cream in my banana bread, but same concept!